I made a series of Star Trek: The Next Generation paintings for the Idiot Box 2 show at Gallery 1988, which is up now. I imagine this is show and tell day where the support staff show everyone their most prize possession. 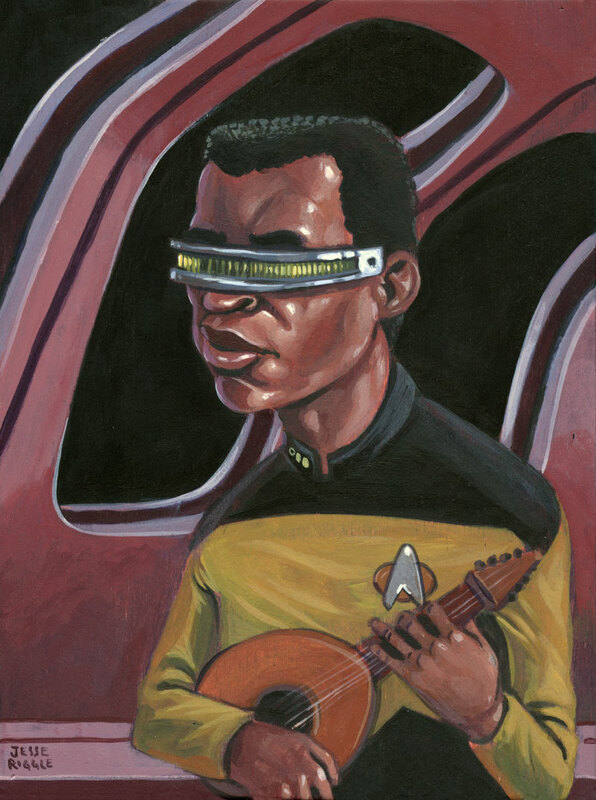 Sadly, Geordi couldn’t bring the entire warp drive.